I’m happy that jackfruit is having a moment. I mean it’s still having a moment. Sure it’s been around for a little while but it was just named one of the top food trends for 2019, which means it basically just won the Oscar for best new food. I first tried jackfruit years ago, on a taco from a food truck in Boston, and was BLOWN away. I was like this stuff is fruit?! But it tastes like meat! Mind. Blown. So what exactly is jackfruit? It’s a giant fruit (no joke, it can grow up to 100 lbs) that is indigenous to India but now grows in tropical and subtropical climates like Southeast Asia. 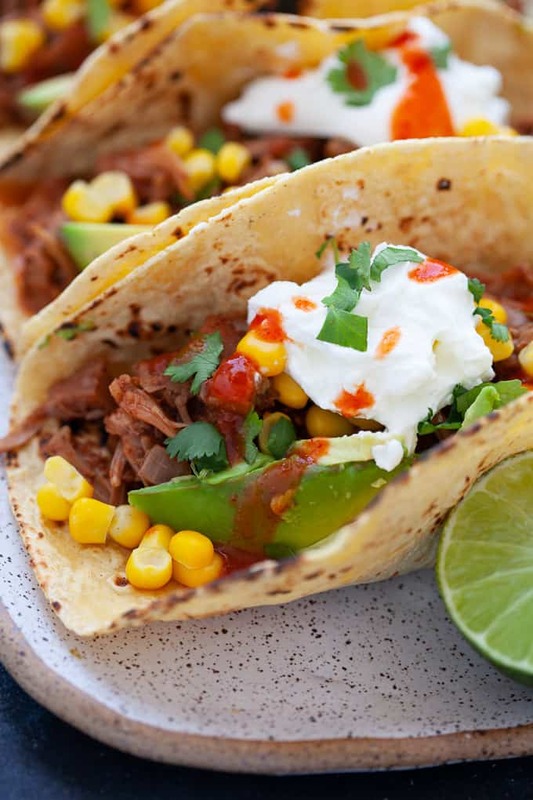 Unripe or green jackfruit is what you can use for savory applications, like taco “meat” or pulled “pork”. Ripe jackfruit is orange/yellow and is sweet and sticky, making it perfect for dessert applications. How interesting is that? One fruit can either be used as a vegetarian meat replacement or in dessert depending on its ripeness. I bought my jackfruit in a can from Trader Joes and it was soaking in its own brine but you could also be super ambitious and look for the whole fruit in the produce section. Just don’t ask me how to cut it. I’m not there yet lol. Despite being a meat replacement, jackfruit doesn’t actually contain much protein so pair it with some beans or Greek yogurt for an extra protein boost. It is however a nutrient-dense fruit rich in vitamin A, vitamin C, magnesium, vitamin B6 and fiber. 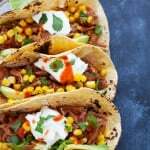 I’m excited by how easy it was to make these tacos in the Instant Pot. Ya’ll know my love for the IP by now. All I had to do was throw all the ingredients in the IP, set it, and then I had time to throw in a load of laundry and do the dishes! #SUCKERFOREFFICIENCY. This would be a quick and easy weeknight meal idea. 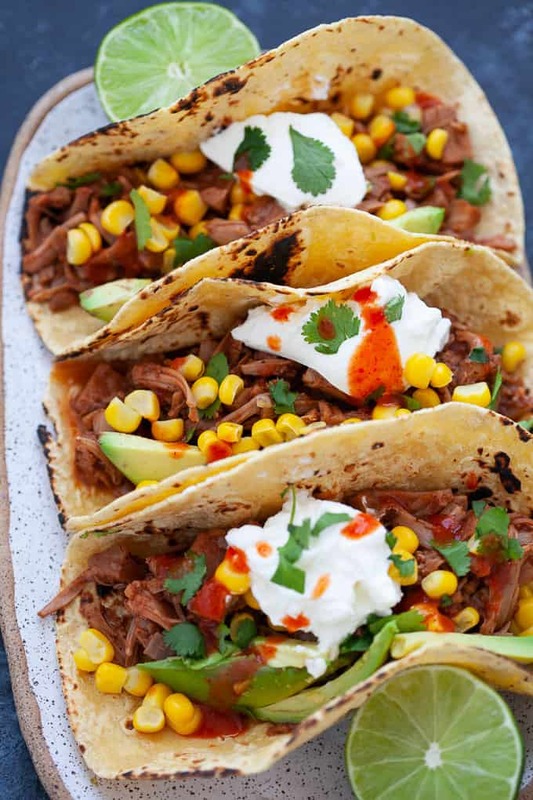 And if you want to take it an extra step to make the texture and flavor even more carnitas-like, you can throw the jackfruit onto a baking sheet and let it bake under the broiler until it’s nice and crispy. But if you don’t want to dirty another pan and create another step for yourself, I’m with ya! They’re delicious as is. 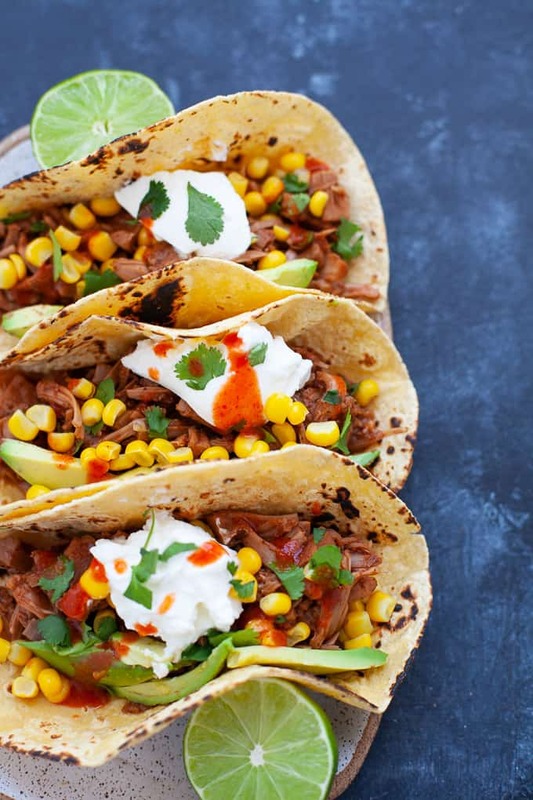 These tacos are spicy, savory and packed with flavor. 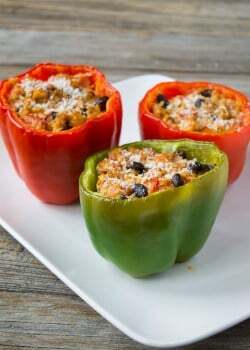 Delicious with an extra squeeze of lime, dollop of Greek yogurt or sour cream and a drizzle of hot sauce. I used corn and avocado on these babies but feel free to experiment with different toppings like cabbage, beans, rice, etc. 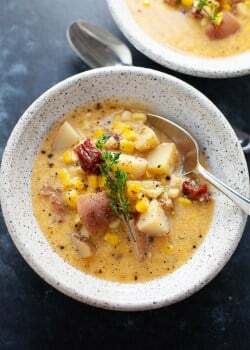 To keep the recipe vegan, you can use a vegan sour cream or just omit it and for a gluten-free version, just be sure to use a gluten-free soy sauce. Add shredded jackfruit, onion, garlic, cumin, chili powder, smoked paprika, oregano, chipotle pepper, tomato paste, soy sauce and vegetable broth to the Instant Pot and stir to combine. Secure lid onto Instant Pot. Close the steam vent (should be on sealing). Set to high pressure for 8 minutes. Allow natural pressure release for 10-15 minutes. After 10-15 minutes, use quick release valve to release steam. Once pressure is released, open lid and stir jackfruit. Season with salt, to taste. 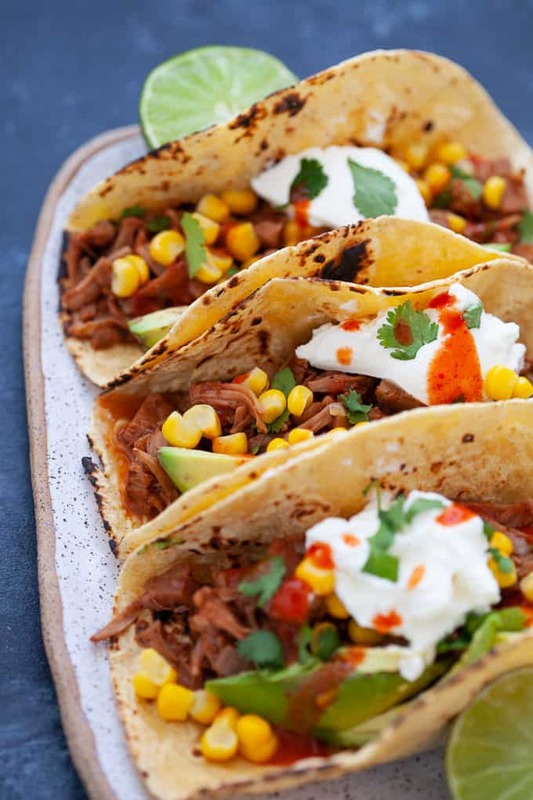 Assemble tacos by evenly distributing jackfruit carnitas, avocado, corn, lime, and cilantro among corn tortillas. Serve immediately. You could also shred the jackfruit with a fork after it is done cooking. 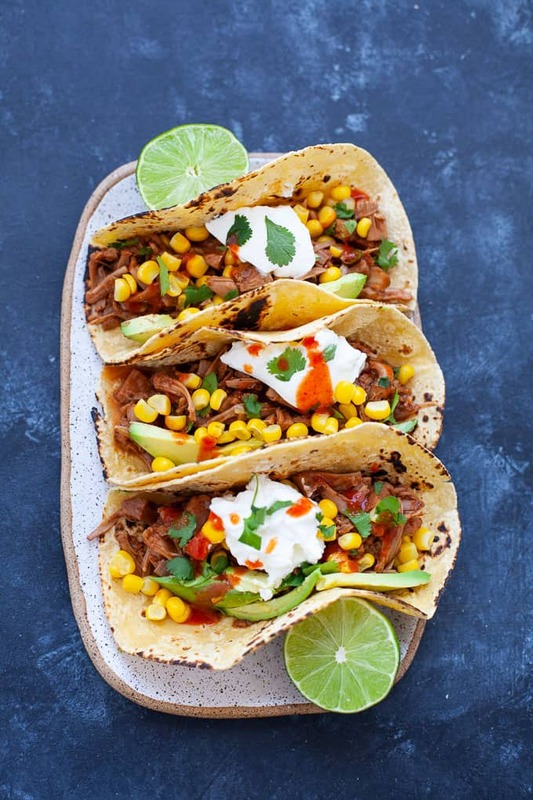 For more Mexican flavour inspiration, check out the recipes below! These look so good! I didn’t know you can get jackfruit in a can, I’ve only seen it whole one or two times and I’ve been way too intimidated to buy it. Cans make life so much easier! 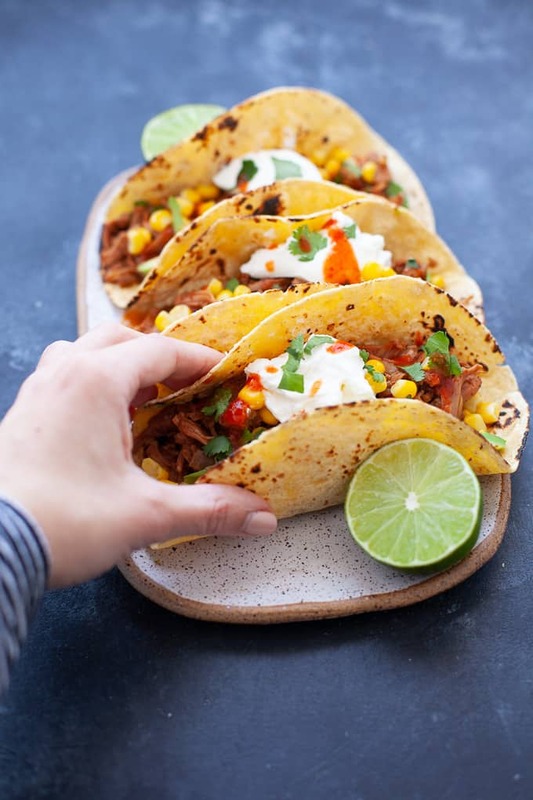 I love jackfruit and I love tacos, so winning combo right here! Who would have thought this wasn’t meat!? Definitely need to make these now! I’ve always wanted to give jackfruit a try and this is the perfect simple recipe to do just that! 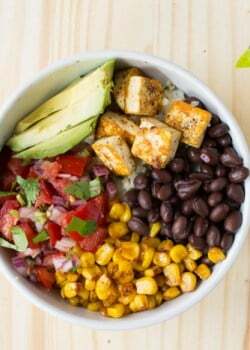 This looks so good and I especially love that it’s all plant-based. I’ve never worked with jackfruit before! Thanks for giving me a reason to! this looks like the perfect application for jackfruit! What a great recipe! I love taco Tuesday! Totally trying this! I haven’t used the instant pot much lately and I bet this gets soo much flavor in the jackfruit!